As we close out December, it’s tradition that we look back on some of the places we’ve been throughout the year. While we can’t mark every destination on the map, some of the most common (or most exciting!) have been noted on this map with a pin. We did make a few trips to the west coast (Las Angeles, and Denver! ), but one can see that our primary destinations are along the East Coast with lots of trips to Florida and the Carolinas. 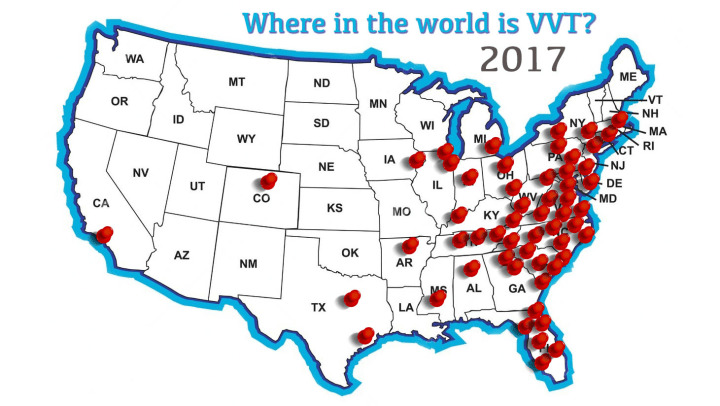 Check out the map to see where 2017 took us! We can’t wait to see where 2018 will take us!